I loved the late great Danny Kaye. He was an amazing actor, dancer, singer… so many things. He also flew planes, cooked Chinese food and was just amazing. Love, love, love! I grew up watching him because my late Dad loved Danny Kaye. He met him when he was working in a movie theater in New York City when he was a young man. He was an usher at the famous Paramount Theater and they were playing The Secret Life of Walter Mitty. During that time stars would come and introduce their newest movies at the big theaters and give a little show. Dad had already seen The Secret Life of Watler Mitty 92 times and he was proud to do Anatole of Paris for Danny. He said Danny gave him a huge smile and patted him on the shoulder.Then he said, “Good job kid, but I’ve got to give the crowd what they paid for.” He left with a wink and created fan for life. Let me put it this way I never saw a Danny Kaye movie with my Dad that wasn’t duet with my Dad. Danny could sing wonderfully and as much as I loved and adored my Dad he could not sing at all. But Dad could never ever let a Danny Kaye movie pass him by, and we both learned to love him just as much. I have seen every single Danny Kaye movie, and I know the songs as well as my Dad did. My brother and I still do lines of his movies like; “The pellet with the poison is in the vessel with the pestle,” from The Court Jester every time it comes on TV. So we got to see almost all his movies and one episode of his TV series that made me want to see all of them. That is how to do a variety show! He was such a brilliant actor. Self trained, amazingly talented and diverse. 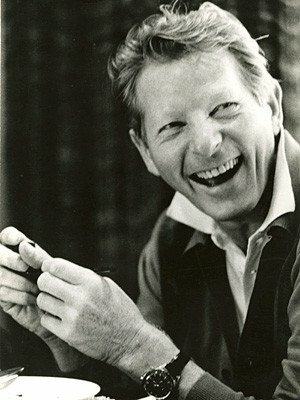 There was only one Danny Kaye and my Dad met him and I will always love him. This entry was posted in Danny Kaye, family film, movie and tagged Danny Kaye, movies, Sylvia Fine, the court jester, The pellet with the poison is in the vessel with the pestle, The Secret Life of Walter Mitty by rithebard. Bookmark the permalink. Thanks for a wonderful remembrance of a great talent! Aww! I love Danny Kaye too. Thanks for the tribute.